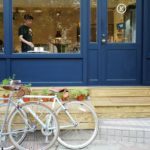 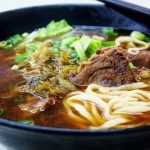 Must do in Taipei — Top 12 best places to visit & best things to do in Taipei - Living + Nomads – Travel tips, Guides, News & Information! 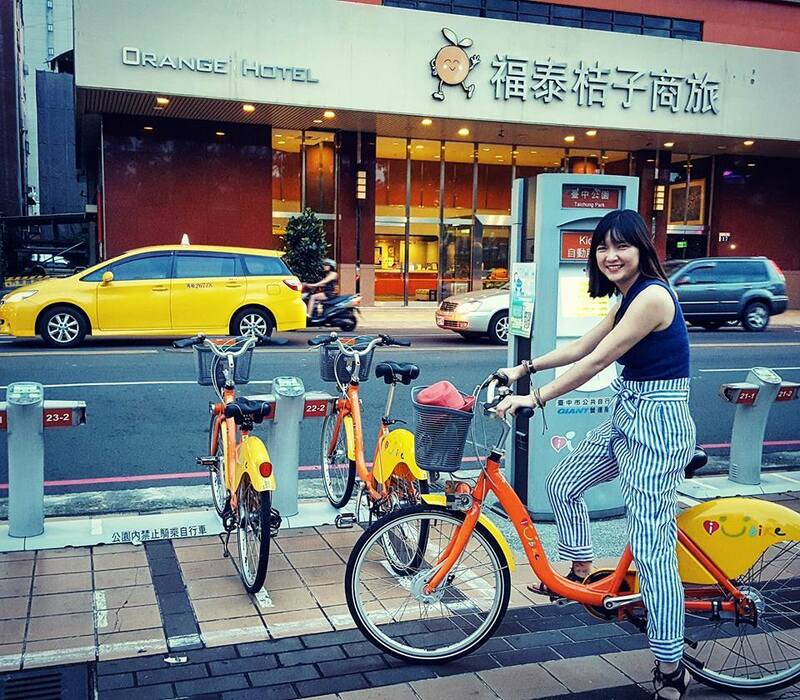 Taipei is an exciting city that I want to come back for many times. 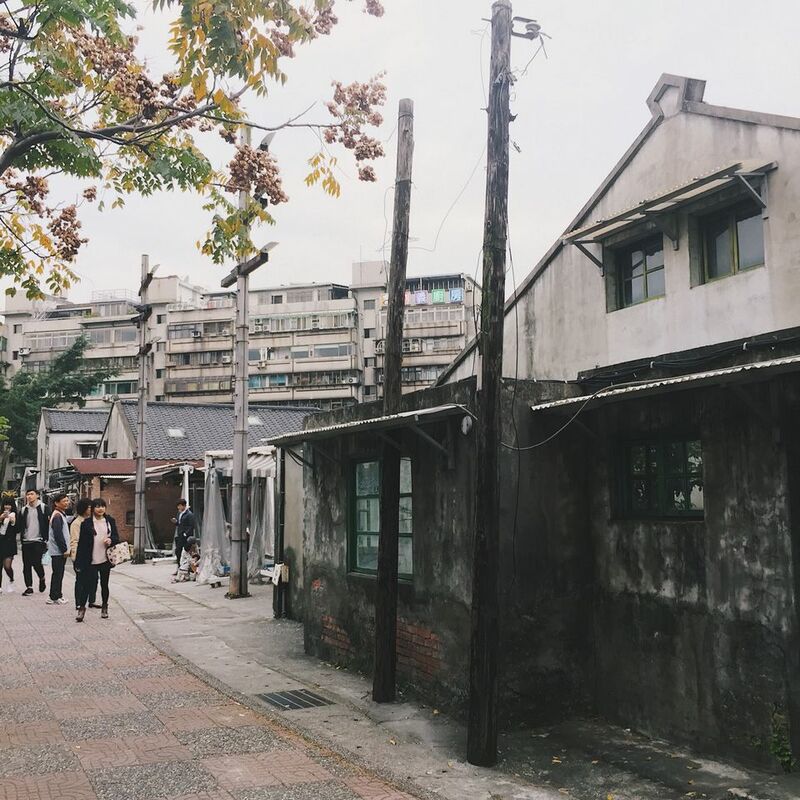 The atmosphere in Taipei is similar to Korea but it also has a bit of ancient Japan. 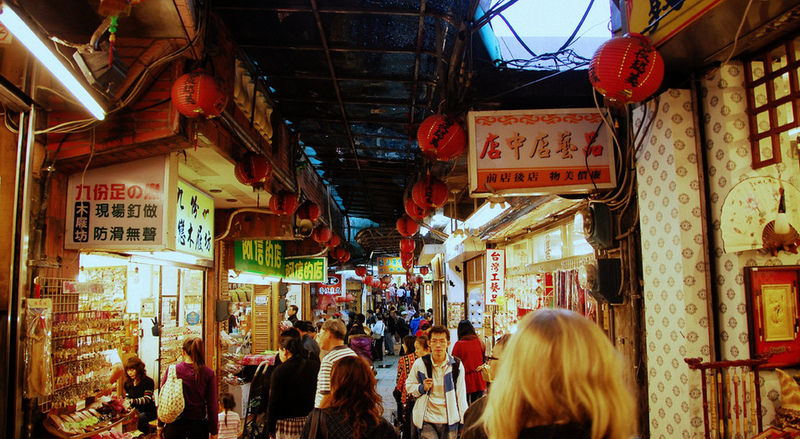 There are bustling, crowded areas like Hong Kong but its prices are generally very Thai. 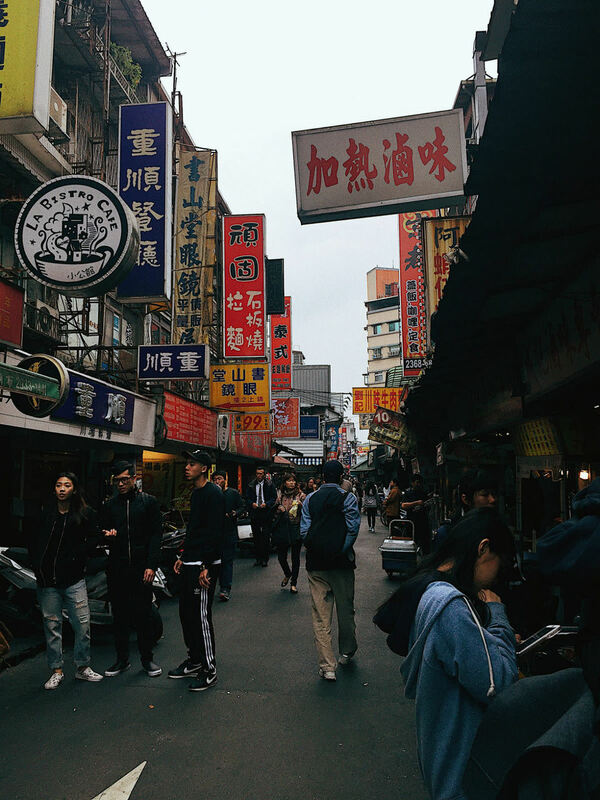 But these comparisons are just the first impressions when we do not know what words to describe all the good things about Taipei. 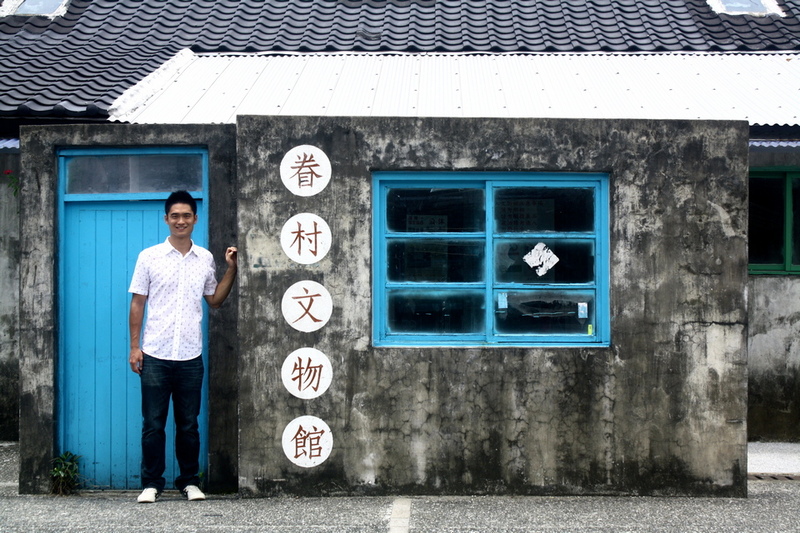 When we came back home, we had begun to understand the very special things of Taipei. 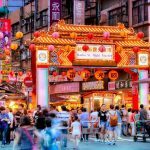 To help you feel the air of Taipei quickly on the first trip here, I have compiled 12 things to do when coming to Taipei. 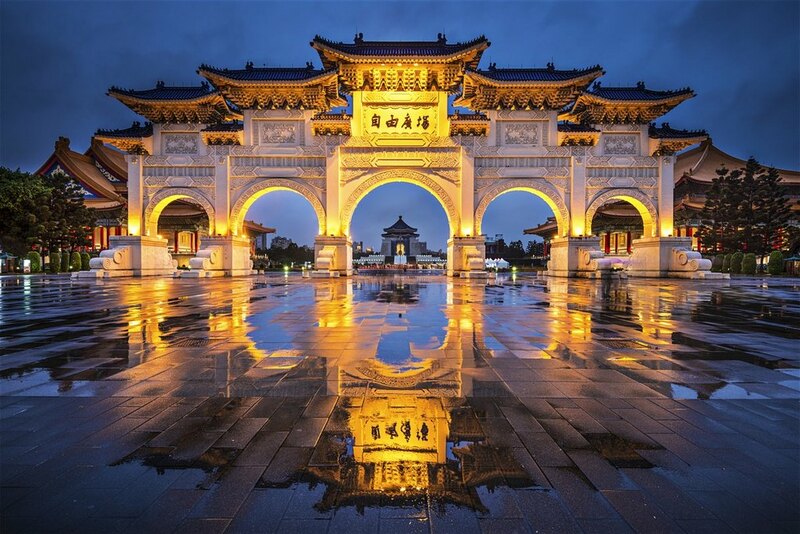 Is this the first time you traveling to Taipei, the charming capital city of Taiwan? 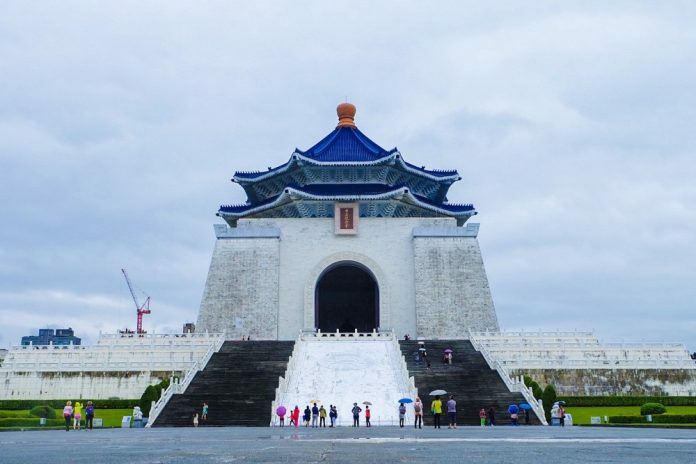 And are you looking for top, fun, must do in Taipei and best things to do in Taipei? 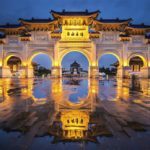 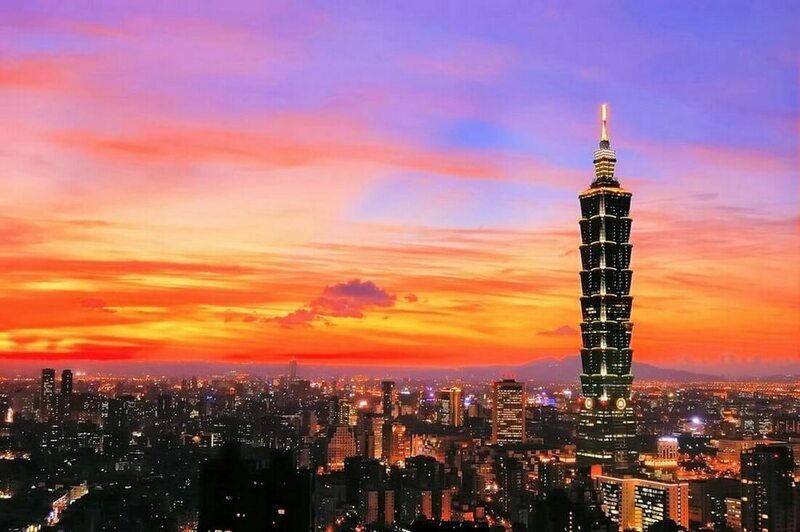 Let’s discover our list of must do in Taipei through this article: Top 12 best places to visit and best things to do in Taipei below. 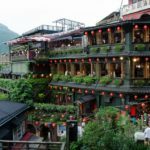 Living Nomads hope this article will help you in scheduling the alone trip. 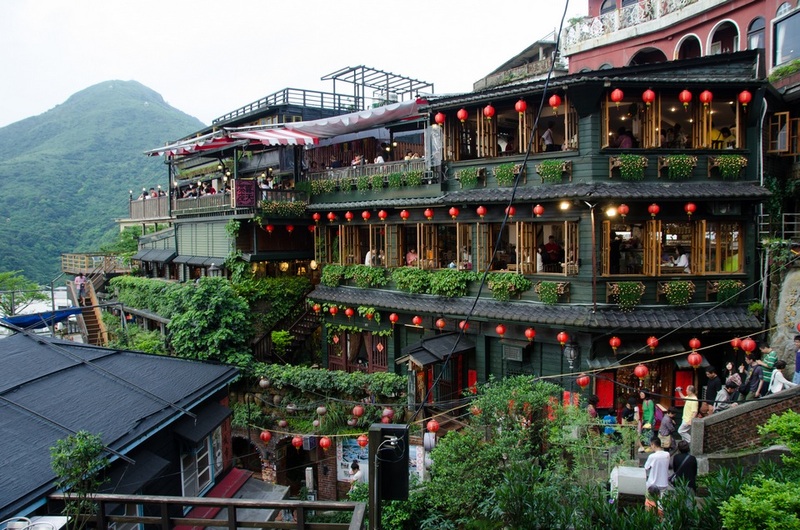 Jiufen and Shifen are two so well known places that it should not be introduced much. 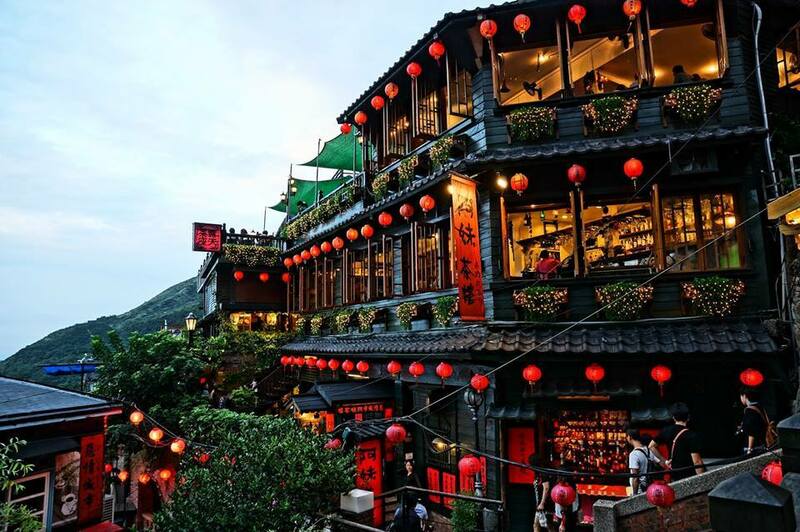 Jiufen is the ancient village has been commercialized, tourists are quite crowded and the atmosphere here is very bustling. 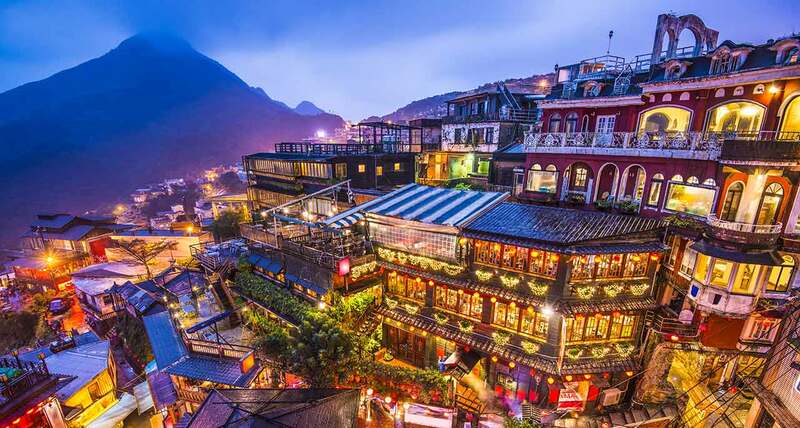 You will be exploring the small sloping roads with only two people in the opposite direction and the main roads are crowded. 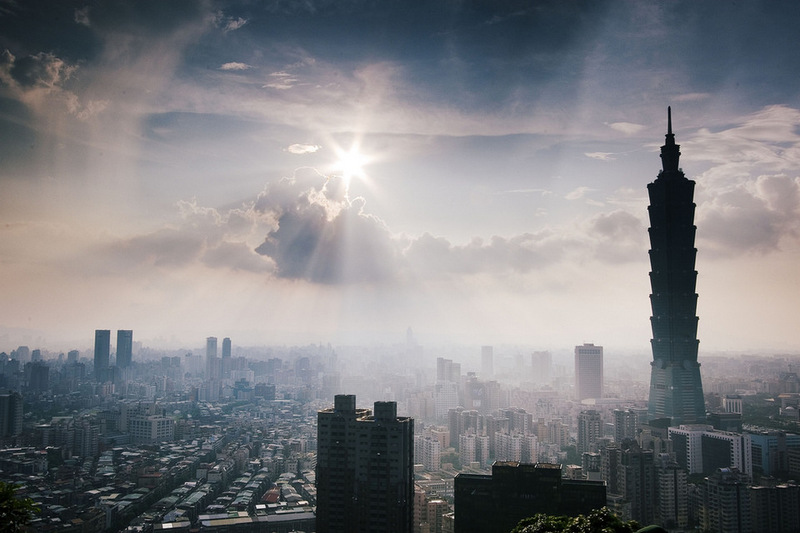 Image credit: best things to do in taipei blog. 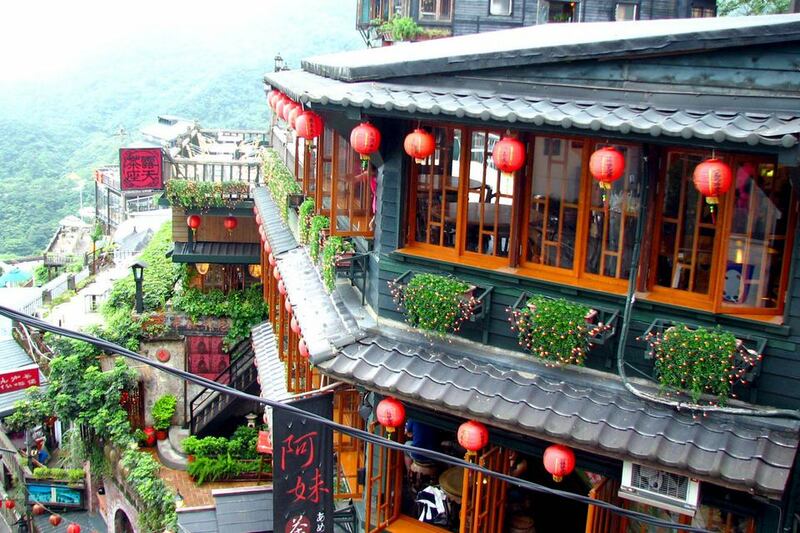 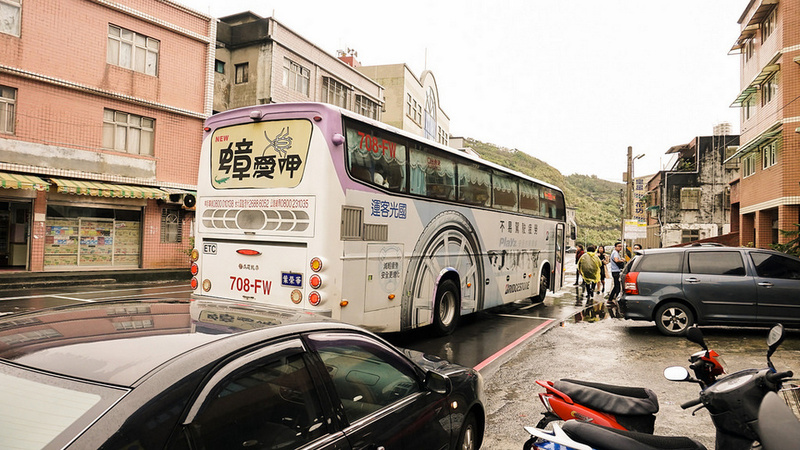 Jiufen and Shifen are usually combined for one day because these two locations share a very convenient route. 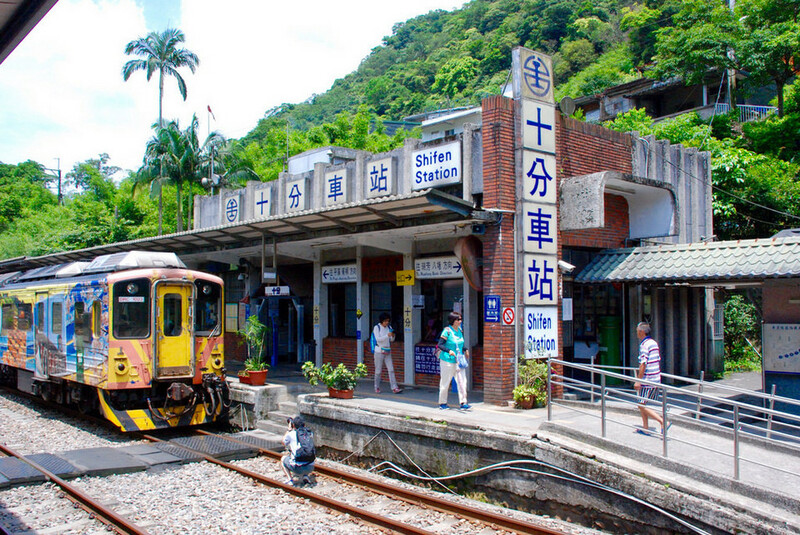 You can move here by bus or train, to add romance, you should choose the train. 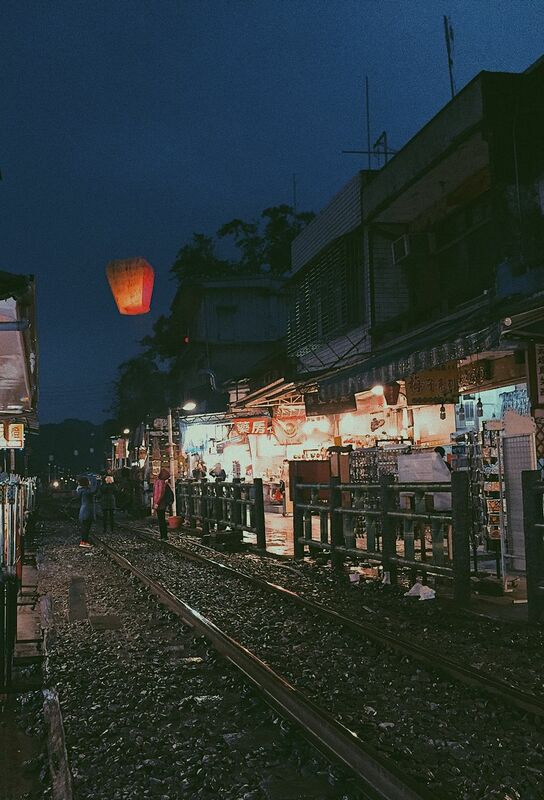 A unique point in the Shifen is close to the railroad is a row of lantern stalls; souvenirs are very interesting but quite “scared”. 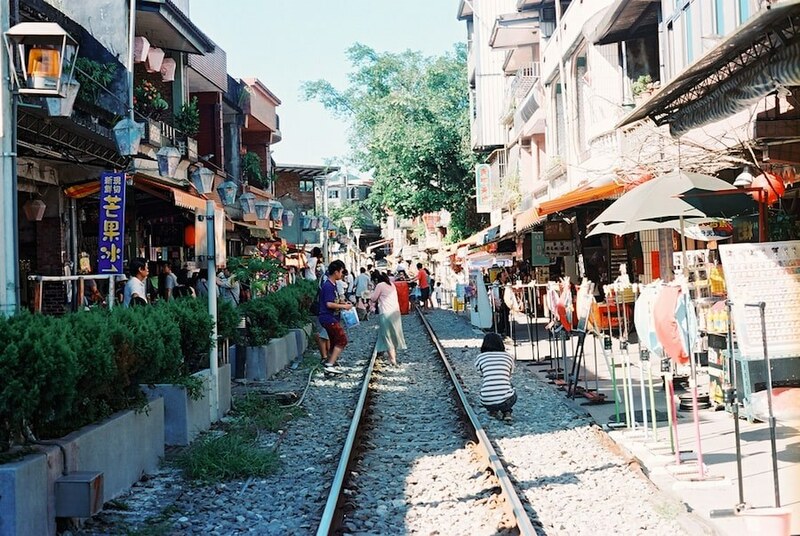 Also, do not worry too much because the store owners will remind you positive when the train arrives, there are both bells and beeps too should not be too dangerous. 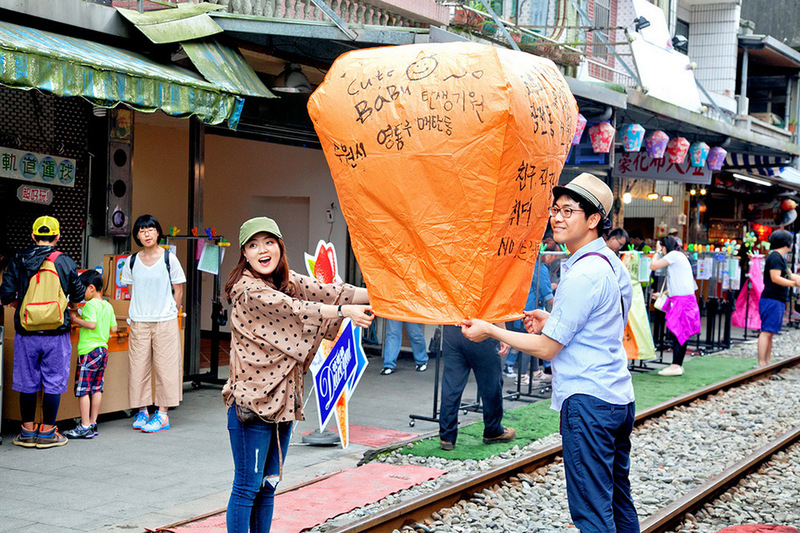 At the Shifen is the drop light in the sky as in the movie “That girl we pursue” very cute. 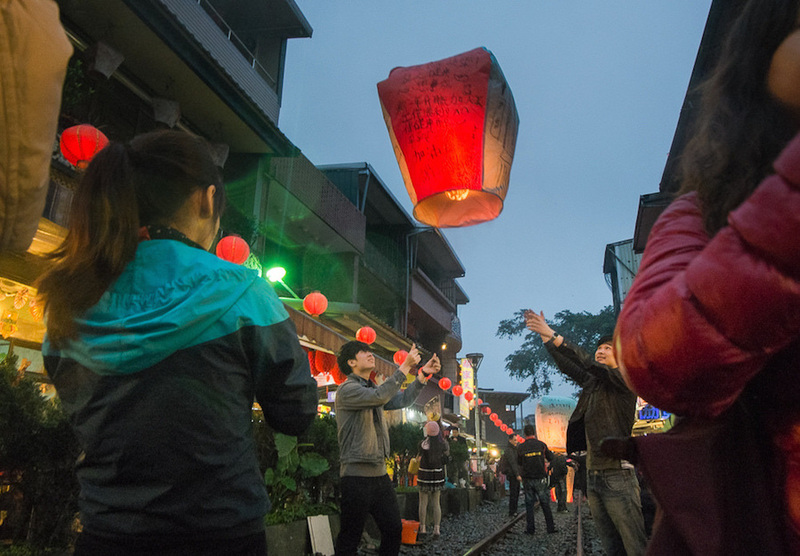 It is rumored that, if you write the wish on the lamp and drop into the sky, pray sincerely when preparing to drop the lamp, your wish will come true. 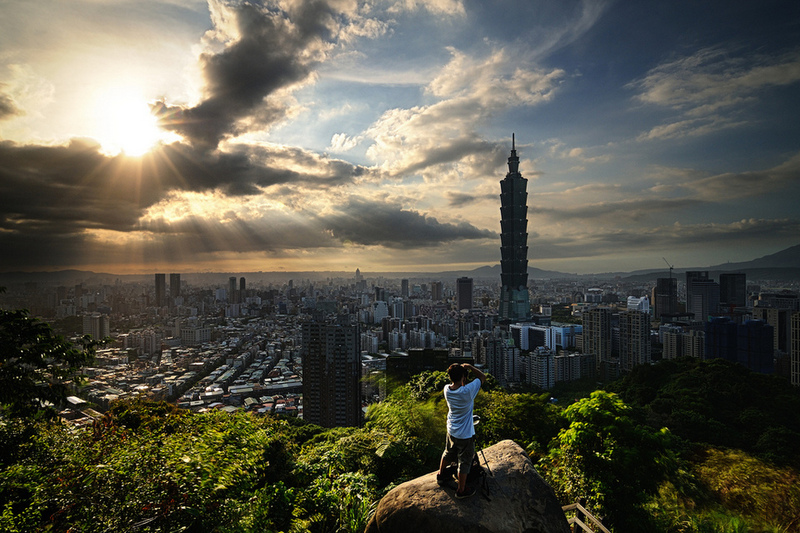 Picture: top things to do in taipei blog. 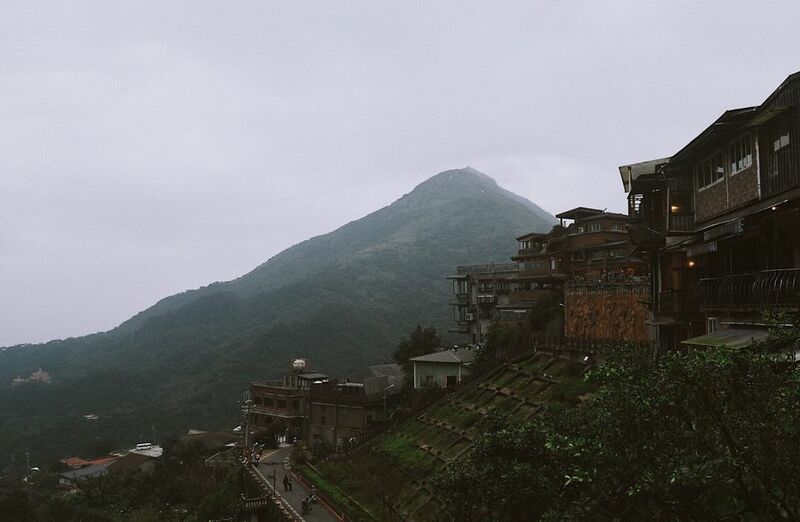 In my experience, the Jiufen and Shifen are very rainy. 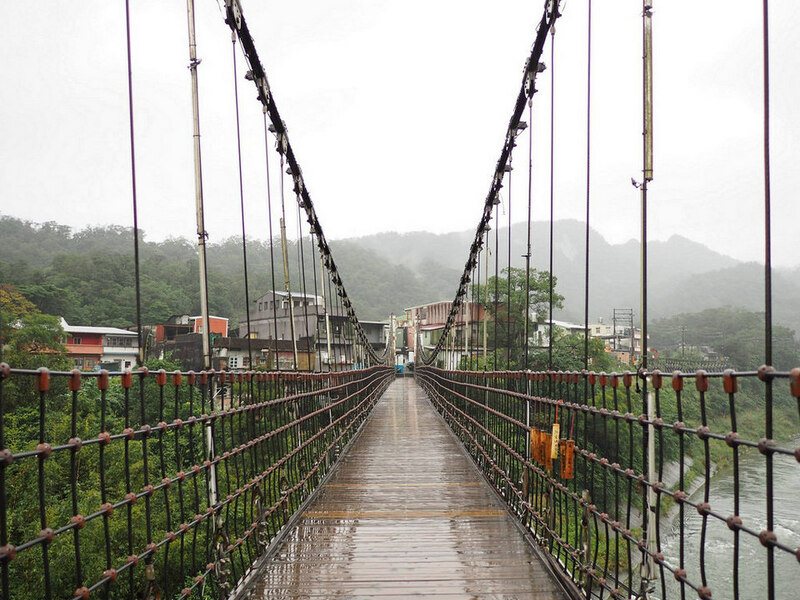 Most of it is raining in per time so you should bring umbrellas or raincoats when you come here for a full visit. 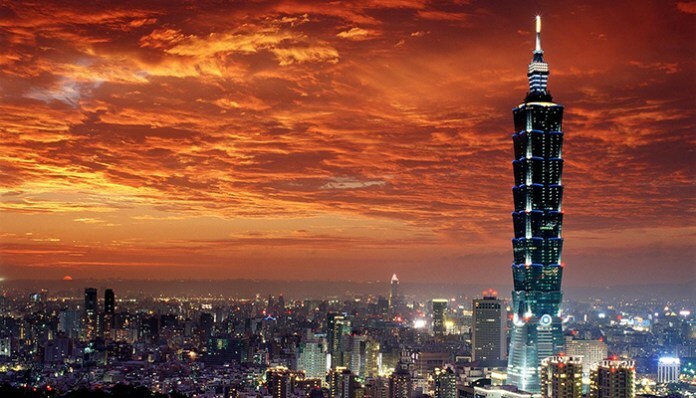 The Taipei 101 building is a symbol of Taipei, so there should be a virtual living picture of this building. 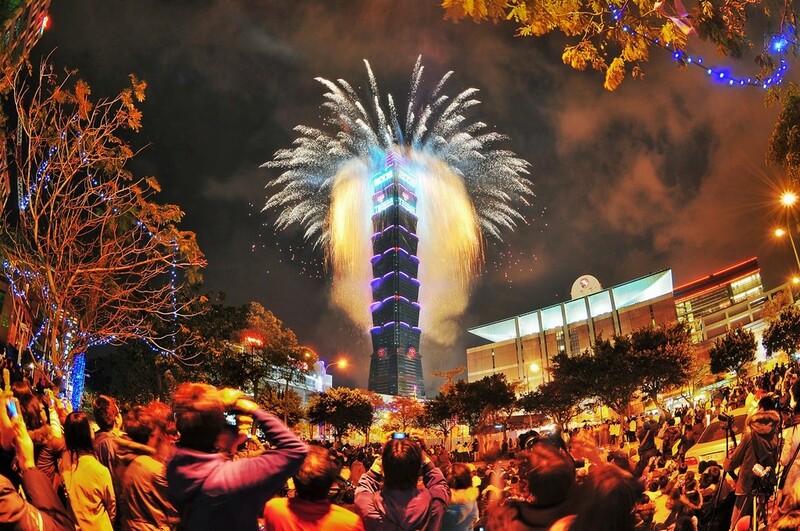 The area around Taipei 101 is extremely crowded. 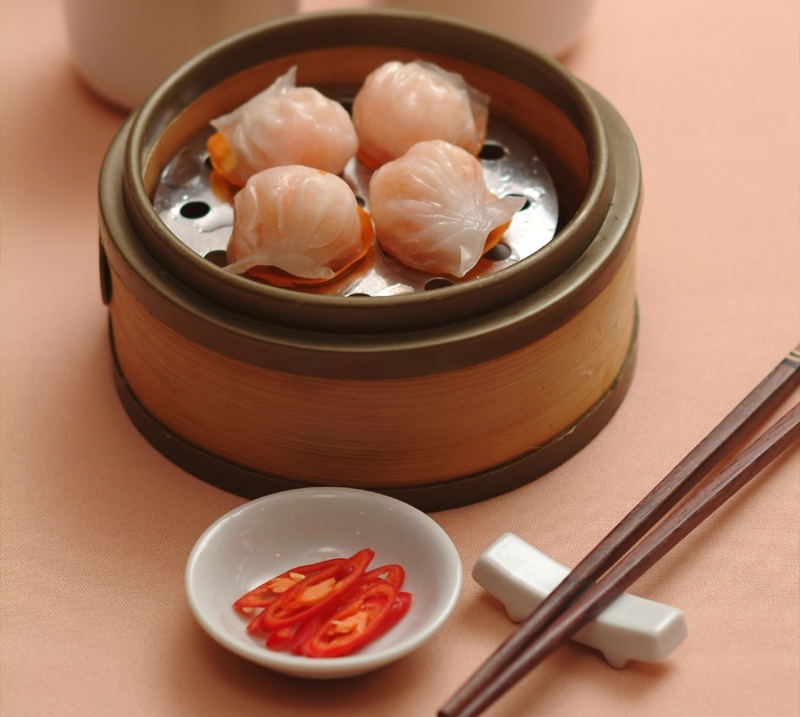 There are many restaurants, shopping centers, movie theaters … so you spoil the discovery here. 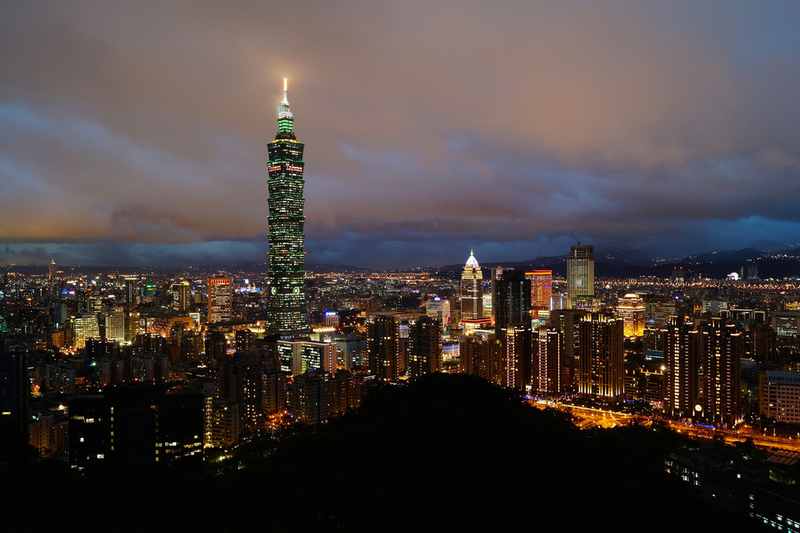 If you are too busy and want to see the whole of Taipei City from above, you can buy tickets to get the Taipei 101 Observatory. 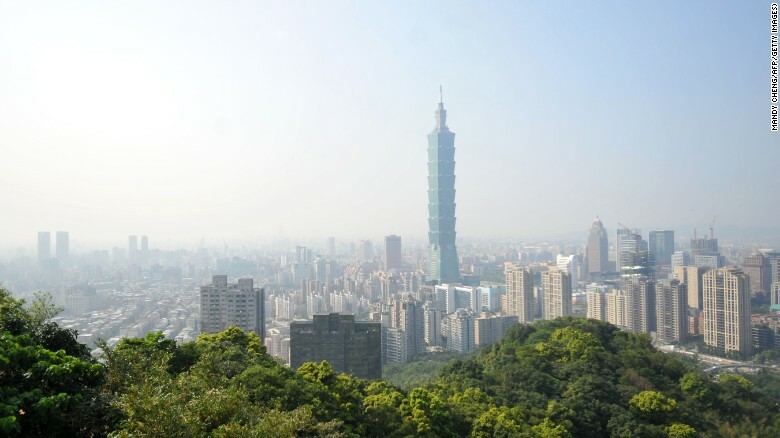 Or you can choose Elephant Climbing, which is also nearby, about 10 minutes walk and save money and still be able to watch Taipei from above, of course, the view will not be equal. 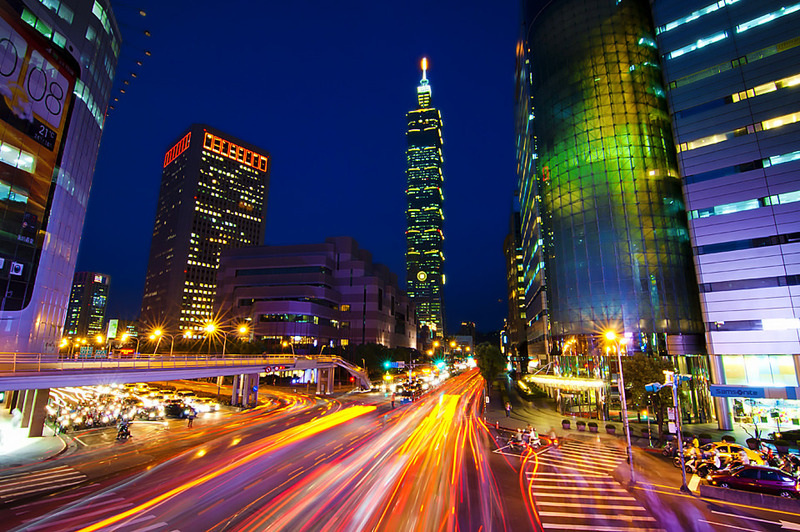 Sisi Nan Cun is the area opposite Taipei 101 always, walking less than 5 minutes so you can combine these two places for once visit. 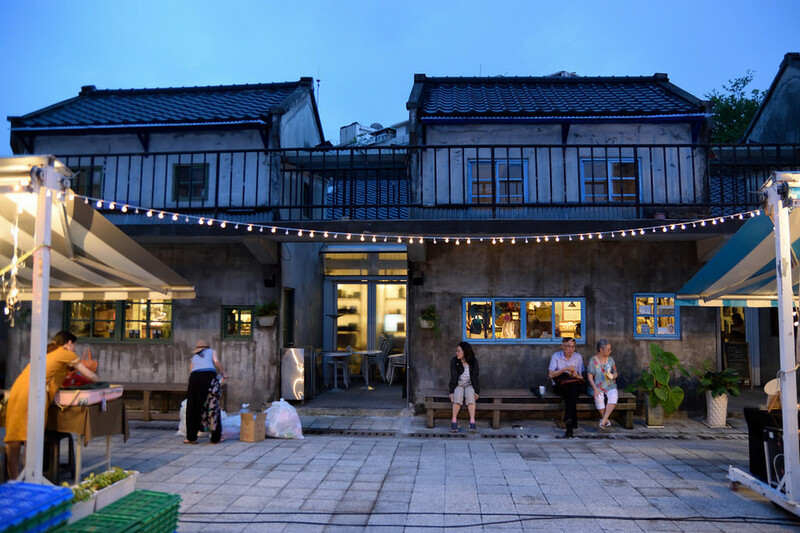 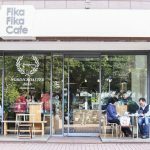 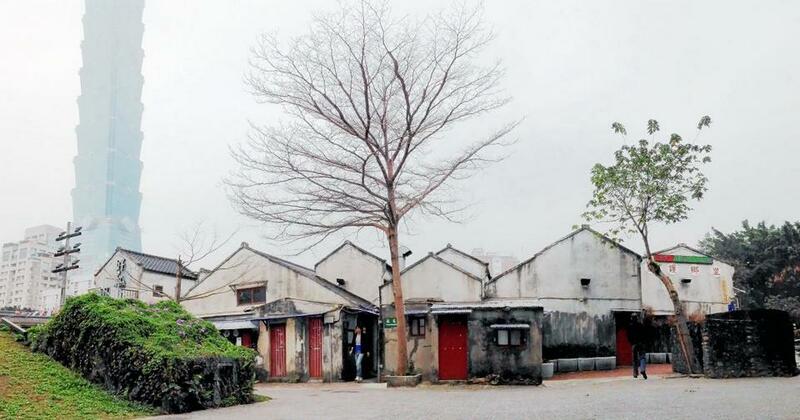 It was formerly a collective of 44 military workers, now a complex of exhibits, cafes, and daycare. 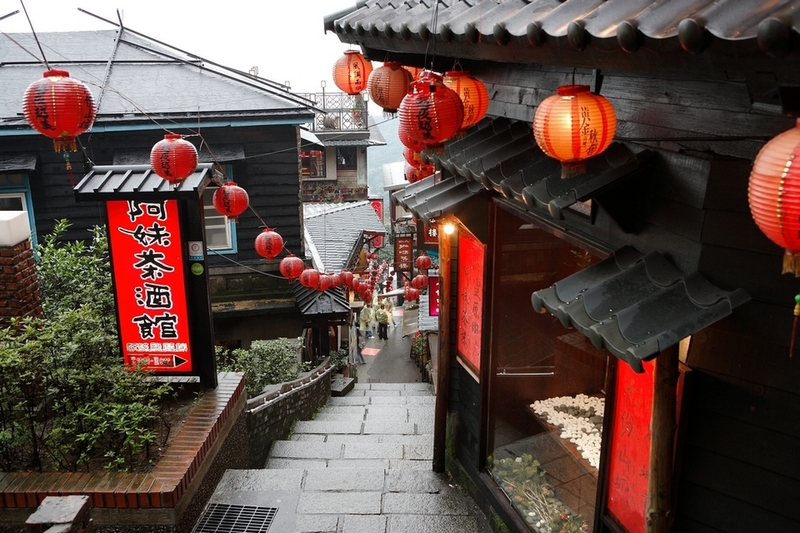 Living Nomads introduces this area because the picture is quite virtual, but it is very suitable for those who like the gentle Japanese style with a bit vintage. 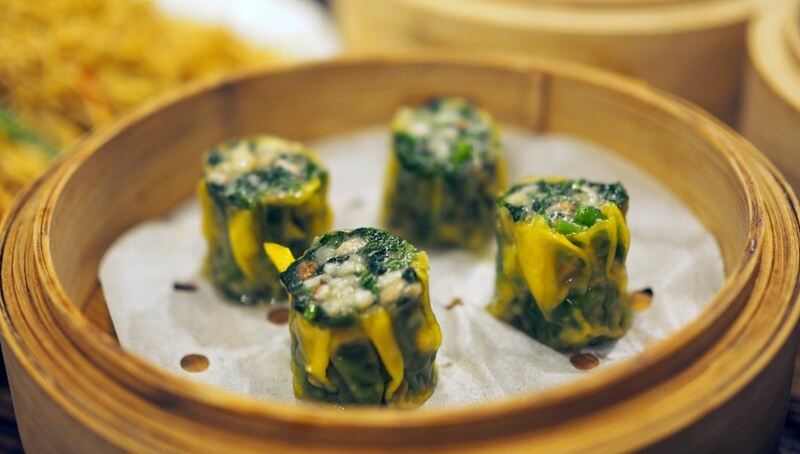 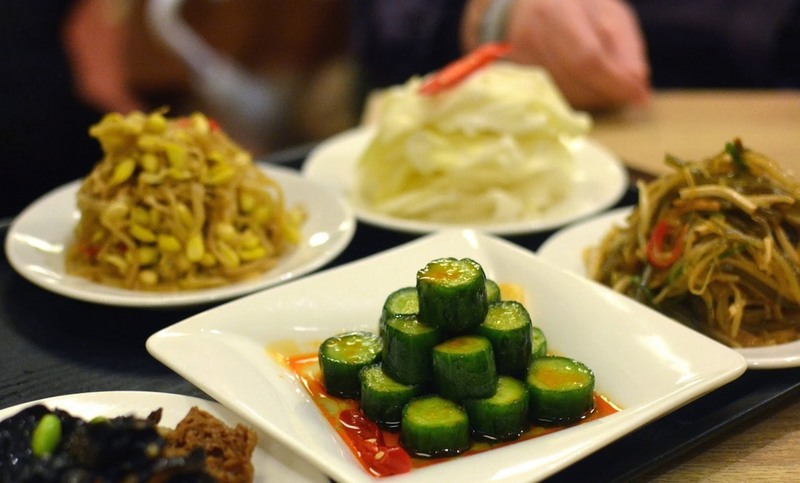 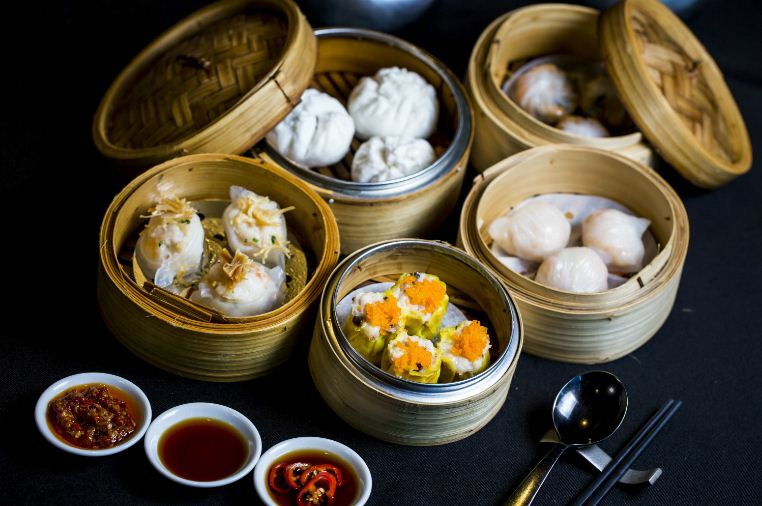 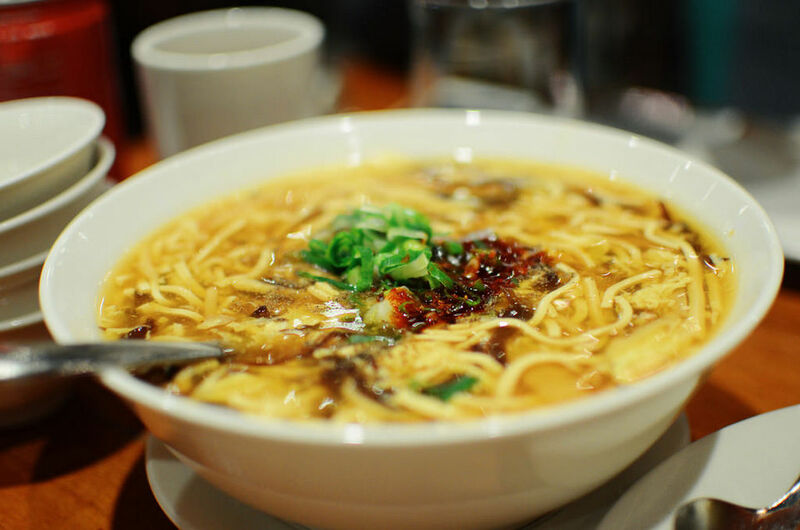 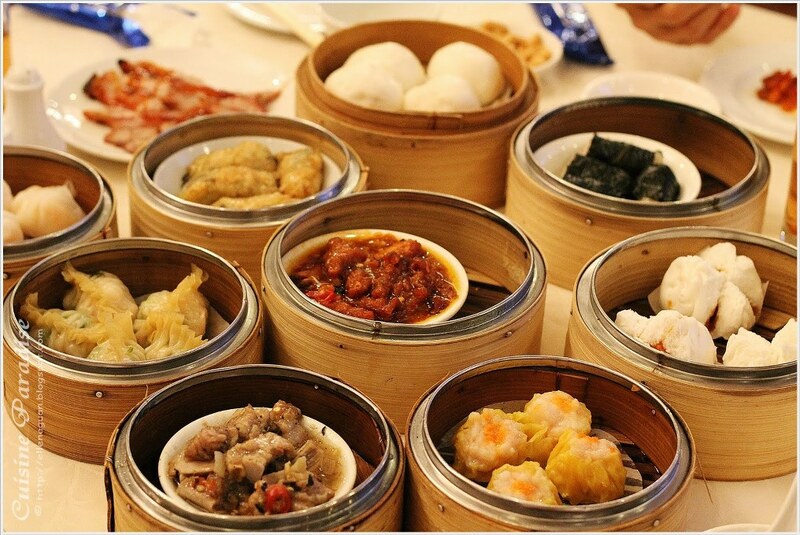 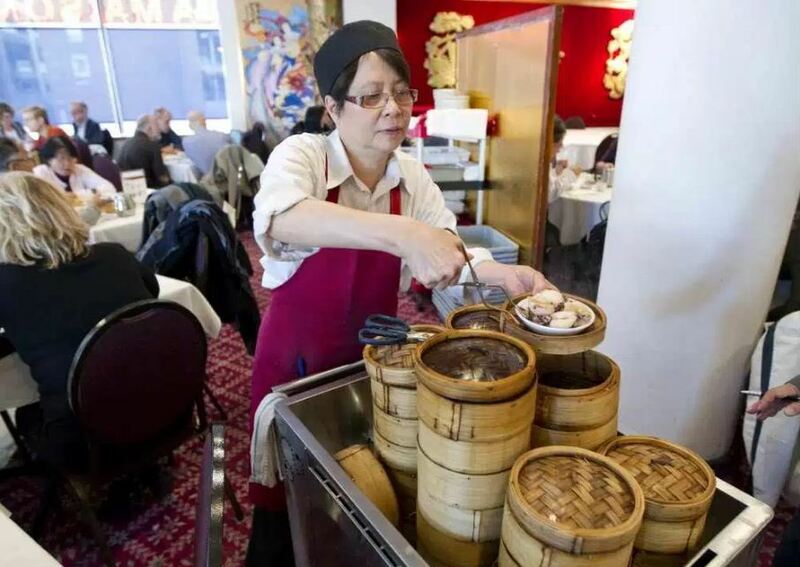 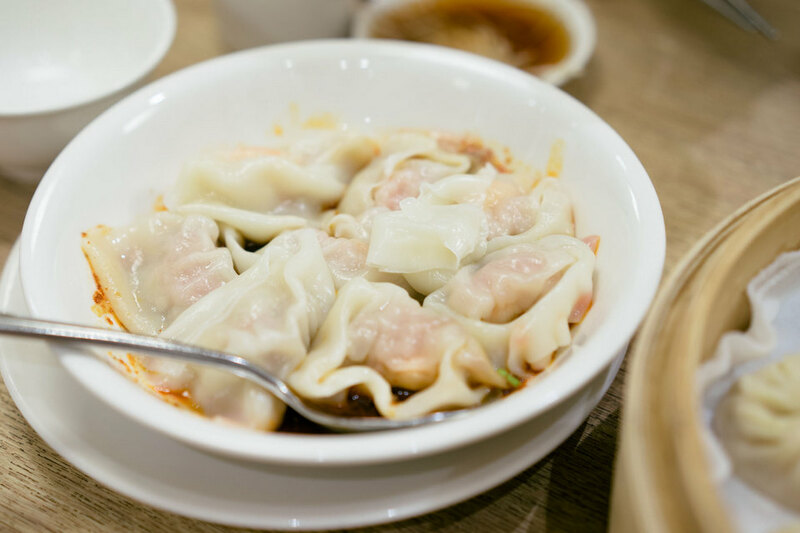 You can’t miss enjoying the Din Tai Fung’s most expensive meals. 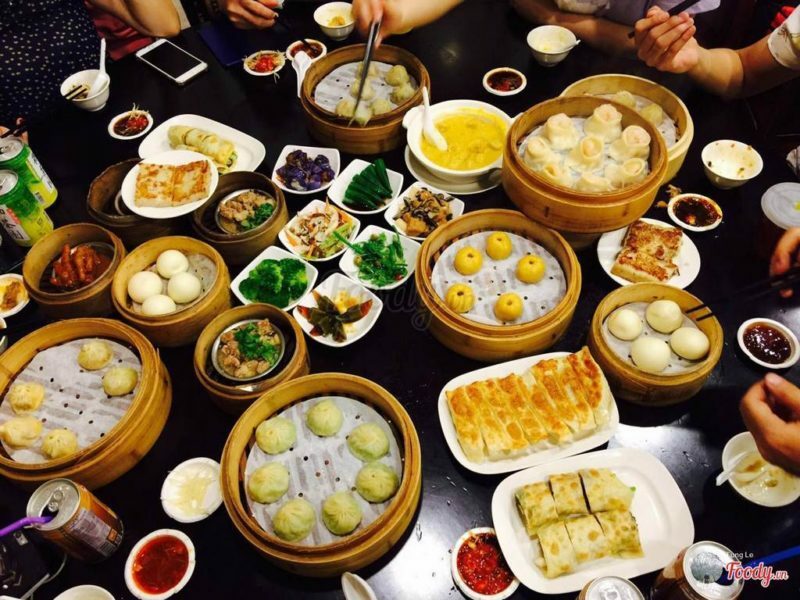 Try to eat at the world-famous restaurant once! 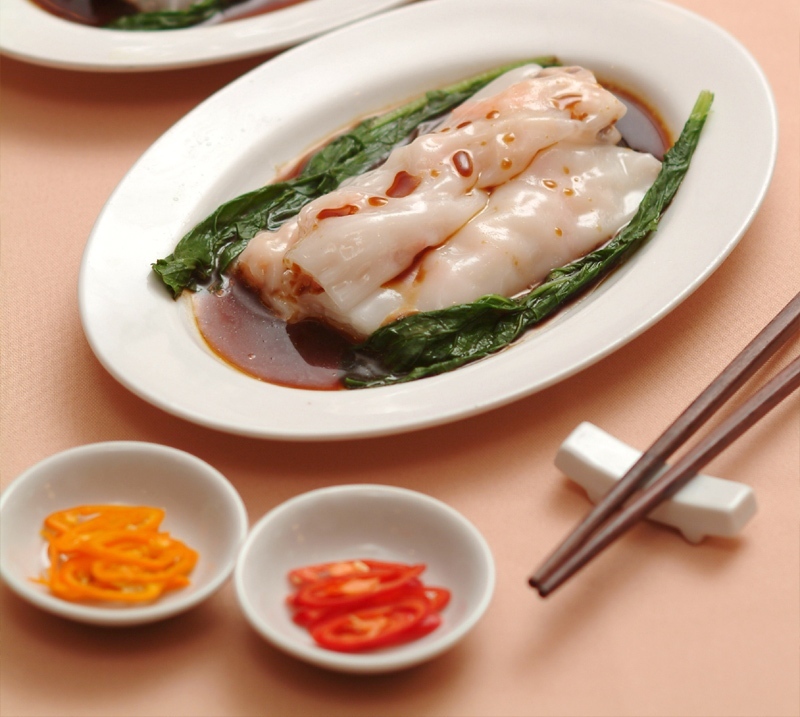 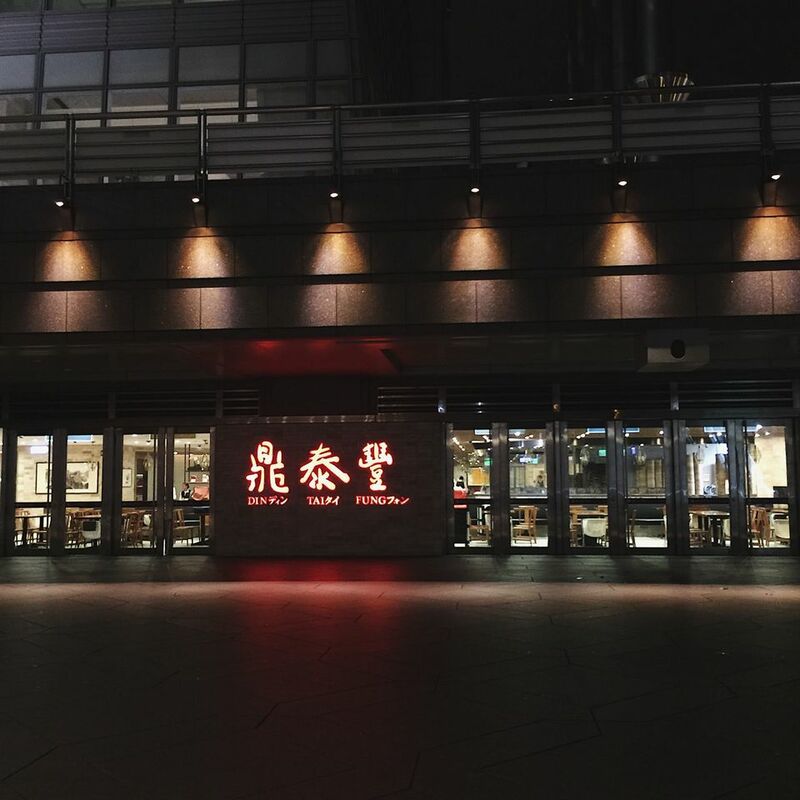 Din Tai Fung has 7 branches in Taipei but for convenience, you should eat at Taipei 101 branch. 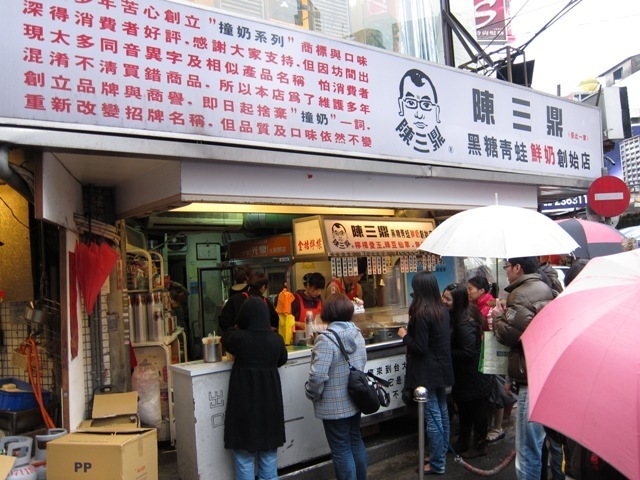 This is a famous restaurant so there are always long queues in front of the door. 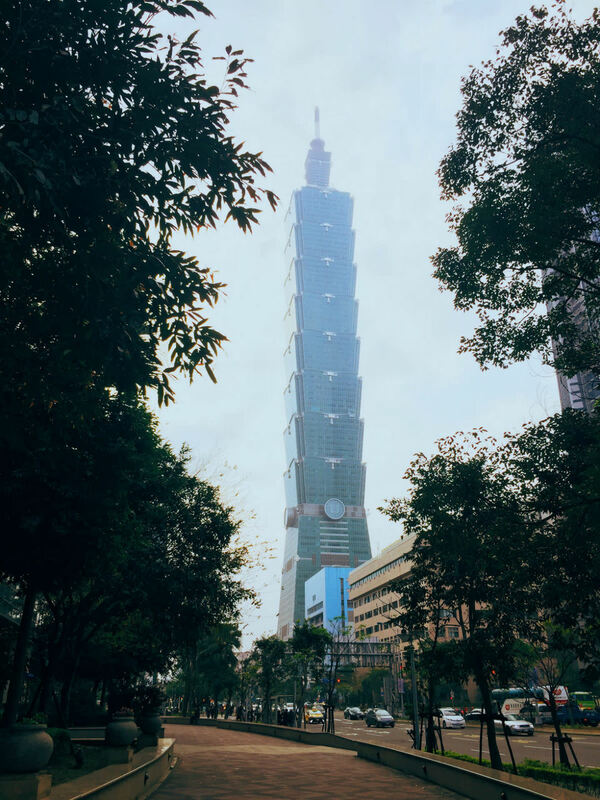 Experience as you go to pick up, order food before you go and explore around Taipei 101 as Living Nomads said above, 2 hours come back is on time. 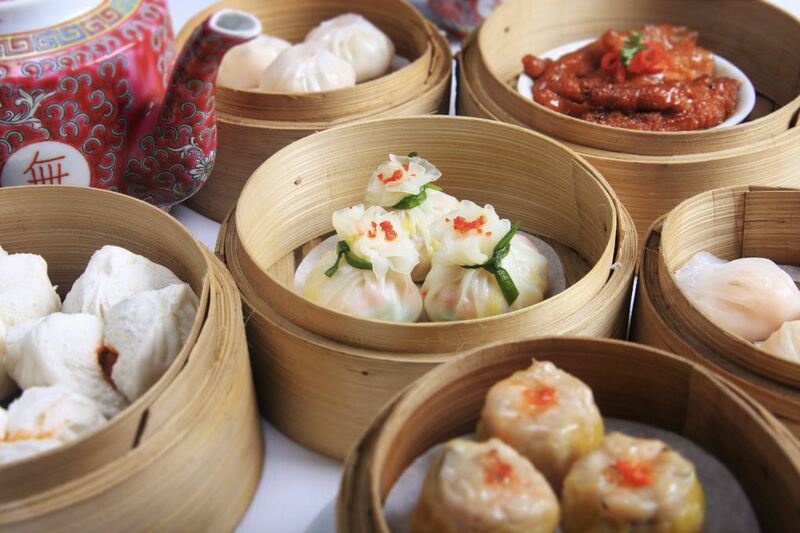 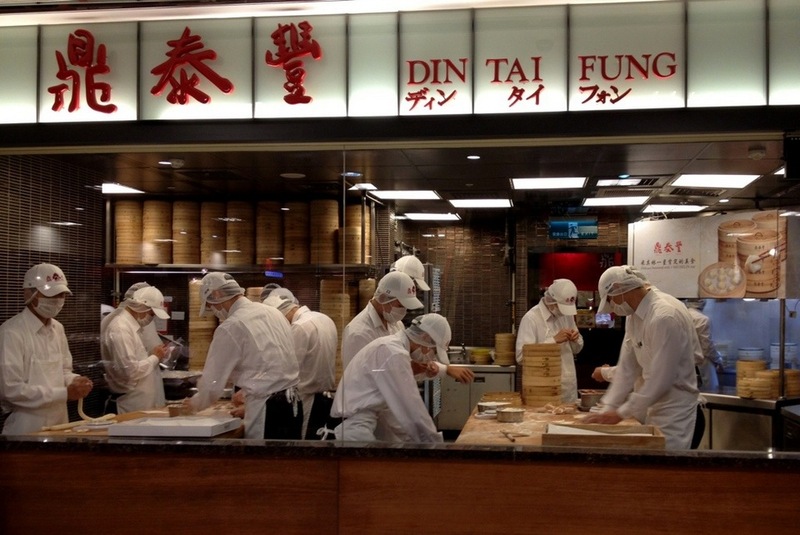 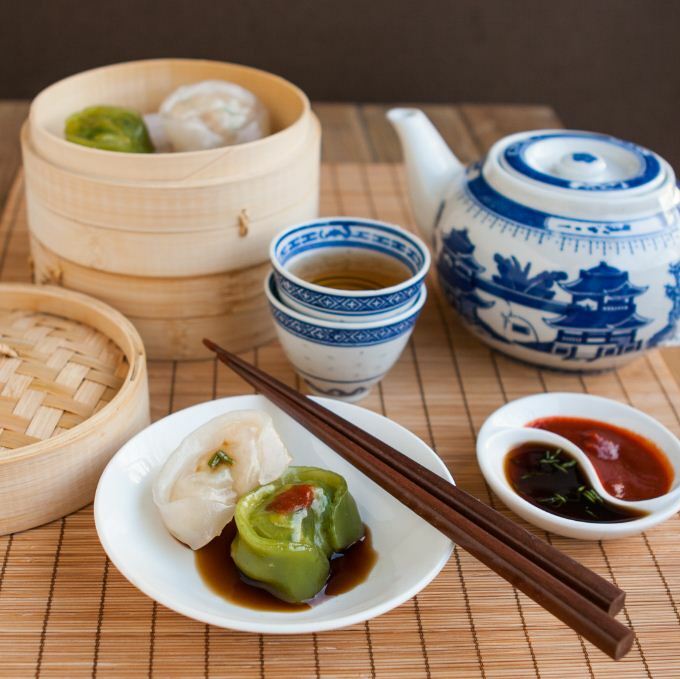 If you choose to dine at Din Tai Fung, try the famous Xiaolongbao restaurant. 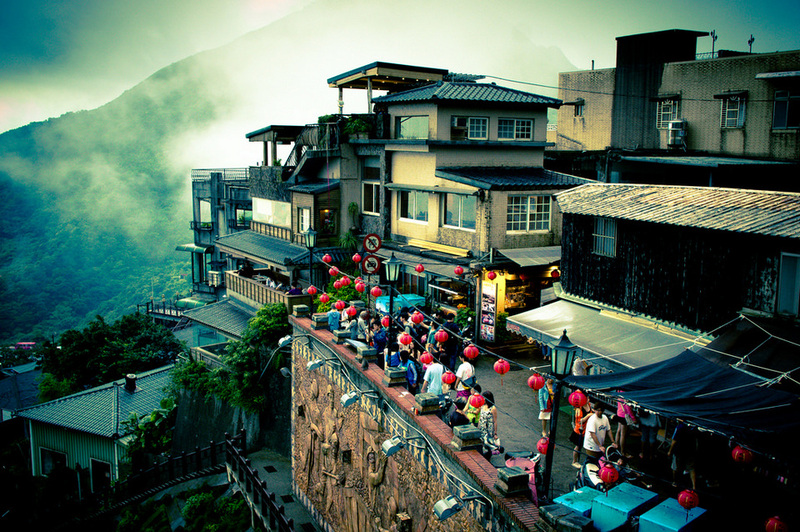 Image by: must do in taipei blog. 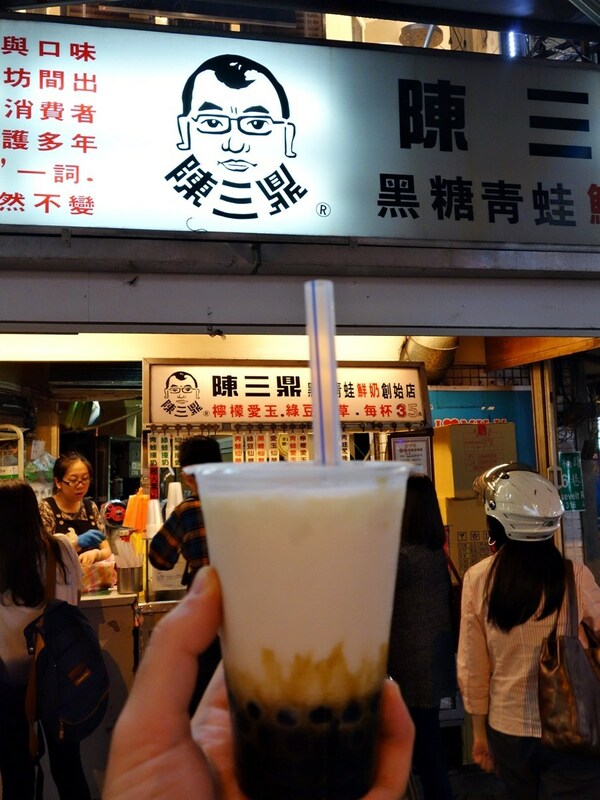 According to Living, Chen San Ding milk tea is the first bubble tea.Honey bubble tea is a must try and most visitors come here to drink this. 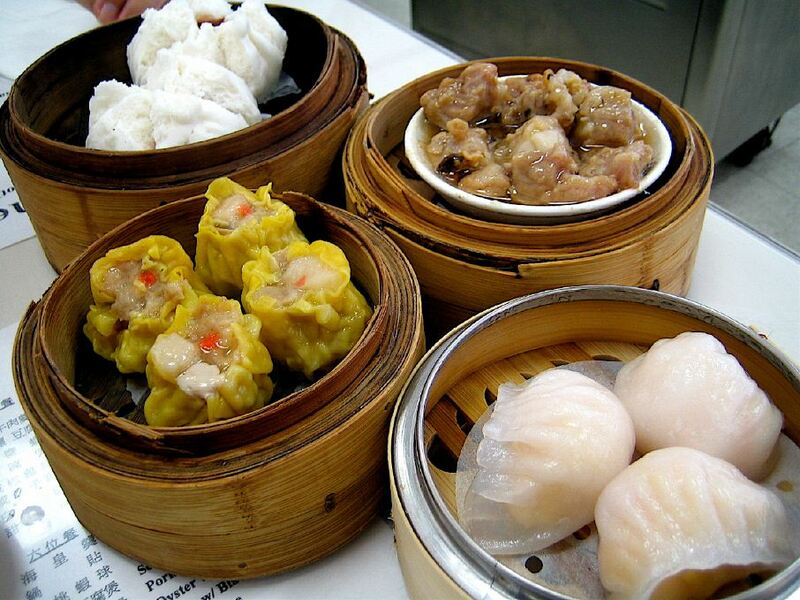 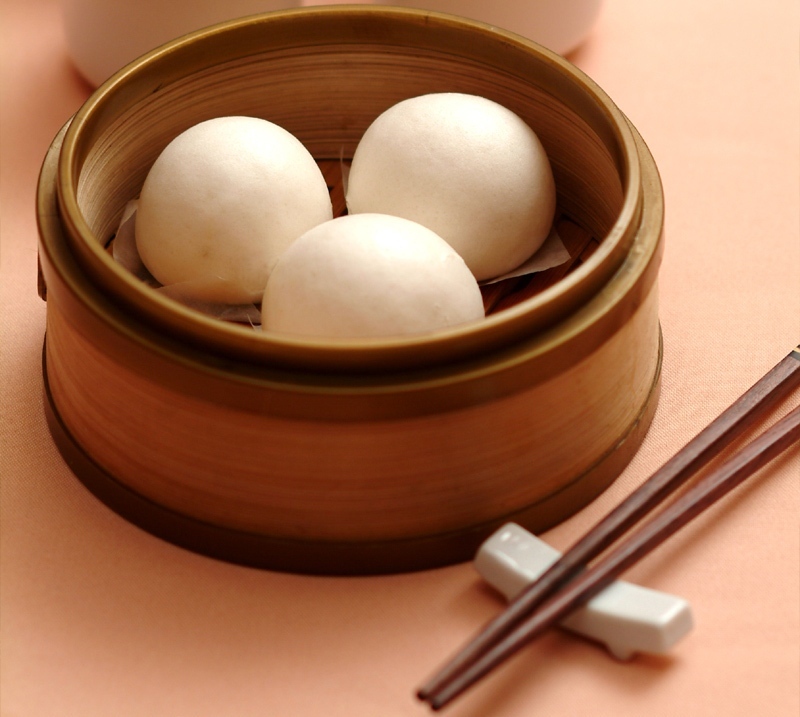 Bubble here are tough and soft, eat is to know the home to make so delicious. 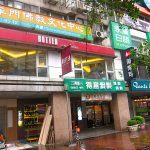 Maybe, you are not a fan of a bubble, but you also have interest in this place. 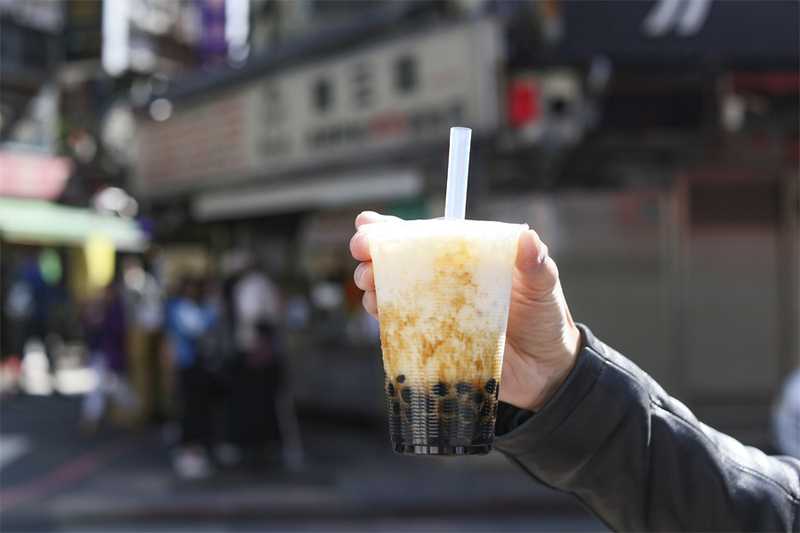 The honey bubble is very generous; half cup high milk tea should be spoiled to drink. 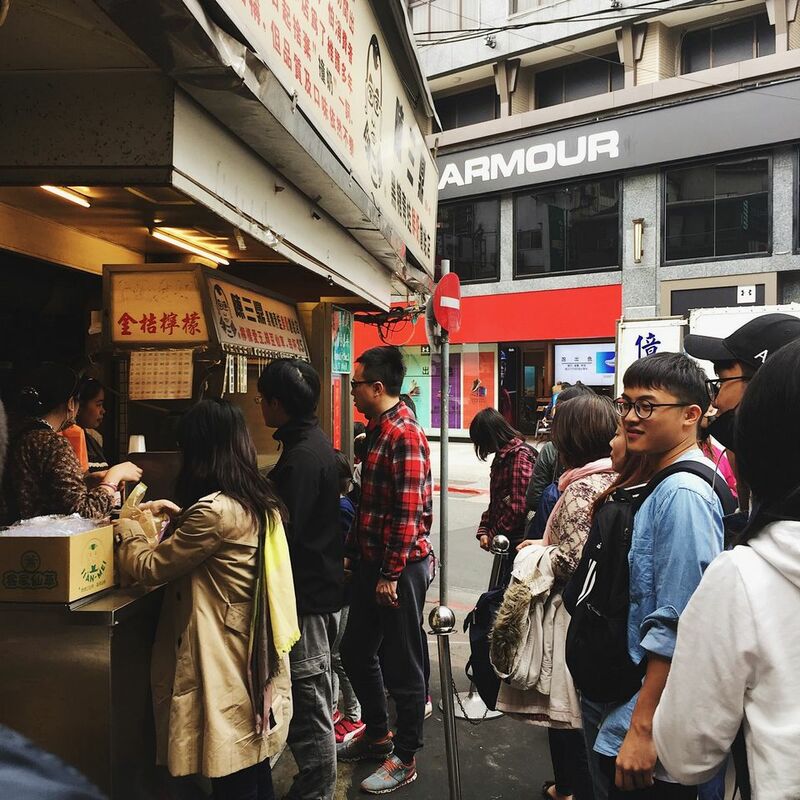 Located in the National Taiwan University (NTU) area, there is a long queue of students waiting to buy milk tea. 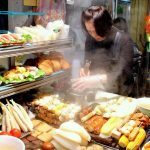 Although crowded but wait about 5 minutes is you can come back to buy it. 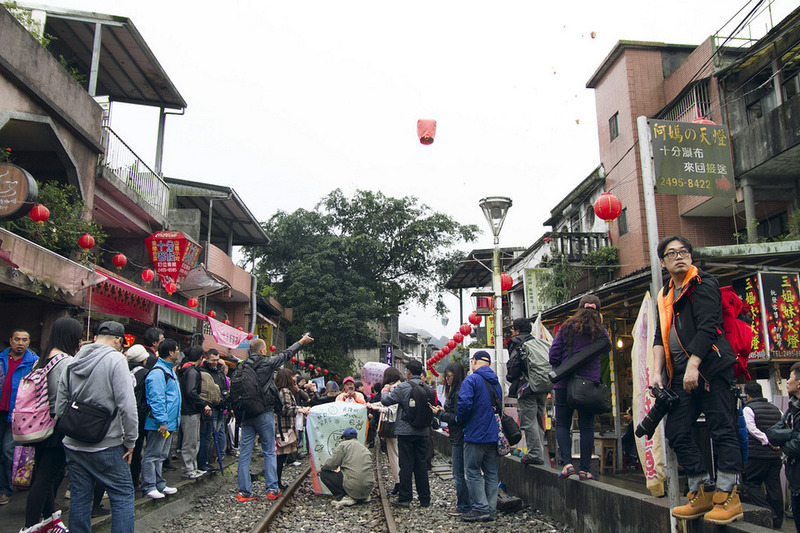 The location is close to the university, so the area is also extremely busy, the students here are very crowded. 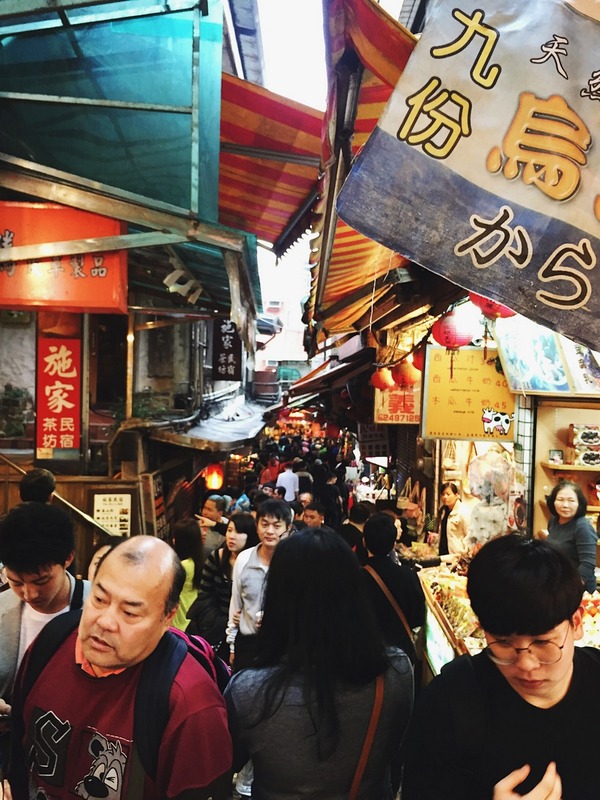 From tart, tofu to high-quality coffee shops is enough. 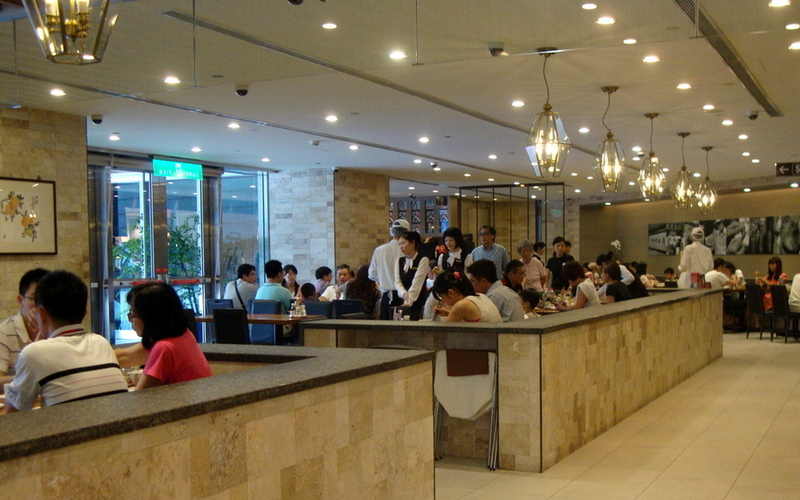 You can dine in this area very conveniently.